It’s Weekend! Some great racing ahead. Several Graded races in the UK and Ireland. Ascot Chase on Saturday as the highlight of course, but there is also some great action at Gowran Park and Navan, plus some excellent All-Weather racing from Lingfield. Enjoy all the fantastic racing and good luck whatever you bet! Sovereign Debt has been off for more than a year now and question is how much of his old class he still has. Makes AW debut for new yard. Should be fine on surface but big mark to overcome dropping into handicap. Don’t Call Me hasn’t won for quite a while but finished well in 3rd in hot race last week, only neck beaten by 105 rated individual on first outing since October. Still career best required to win off current mark. However remains as good as ever and won strong Handicap last summer off 3lb lower. Tiger Tale finished runner-up on couple of occasions in recent weeks. Mark is increasing without winning since good win at Kempton in autumn. Fine performance lto over CD when short of room in crucial moment. Career best required. Secret Art is back after a break. Goes well on the All-Weather and ran well the last two starts in Autumn. Career best required today. Melvin The Grate is much improved since switched to the All-Weather. Won with plenty in hand on penultimate start over CD and ran fine 3rd of revised mark lto when not having run of race. Needs good pace to be able to close from trailing position. Energia Flavio hasn’t won in UK yet but has been competitive last three start on AW. Looks in the grip of the handicapper though. Claimers allowance sure to help however. Freud is a French import and hasn’t been seen since August. Seems to act on AW but hard to know what to expect today. Santefisio doesn’t win often but returned to form at Wolverhampton lto. May need more assistance from handicapper to be winning candidate in this class. Spiritual Star won with plenty in hand over CD last month when dropped to a mile. Five pounds up looks fair and remains competitive, though more required up in class today. Mindyourownbusiness finished a gutsy runner-up behind Spiritual Star a fortnight ago. Not too many miles on the clock and may improve again. But need to so as was fair beaten lto off similar mark. Halation was progressive last season on turf. Placed on AW as well. Now back after break. Fitness a question mark but top jockey in the saddle a bonus. Stormy Paradise was a fair lengths beaten on seasonal return over CD lto. Would need improve quite a bit for that run to be competitive here. Verdict: This is a really competitive affair, as one would expect from a big feature Handicap on a Saturday. More than half of the field have the potential to be really competitive in this. There is no doubt that Melvin The Great is a fair favourite. He won with plenty in hand his penultimate start and followed up with another nice performance over course and distance. His running style means that he’ll always need a rattling pace and bit of luck as well. Not sure if he’ll get another clear run today. As he had it all going for him the last two. i would expect Tiger Tale, who finished runner-up behind Melvin The Grate before, and beat him by half a lengths lto then when he was second again. He hit the crossbar a couple of times now and it remains to be seen if he can win off his current mark. Another bold performance wouldn’t surprise though. Halation is a bit a dark horse today. Back after a break, progressive profile as a three year old. He could have still some unlocked potential and has Atzeni in the saddle. Secret Art has a similar profile to a certain extend. He was competitive before a break and if he is match fit, it wouldn’t be a surprise to see him going close today. All those mentioned until now should go well, but I feel they aren’t offering any value if it comes to odds. However the 12/1 for Don’t Call me looks huge. He remains most of his old class and done extremely well in a very good handicap at Wolverhampton last week. He hasn’t won off a mark as high as his current one, but this most recent performance indicates that he is well up to it. He didn’t get quite a clear run in the closing stages lto, but the slight drop to a mile should suit much better today anyway. Not to underestimate is the chance of recent winner Spiritual Star either. An impressive winner over course and distance two weeks ago, his revised mark looks more than fair, if not even lenient to a certain extend, given with how much in hand he won and how similar winners have been hit with much higher increases. He hasn’t won off a mark as high as this, however was placed over CD off even higher last season. He has the habit of starting slowly from time to time. So that is a risk that he may lose the race already at the start. Yet 9/1 looks a very big price. Luv U Whatever is on a three race winning streak and hasn’t been out of the money in five. All came at Southwell though. Has to transform this form to tapeta off career highest mark now. Gold Trail won his last two and seems to thrive on the AW. Talented individual, improving all the time. Had the run of the race lto when up with slow pace. Seems to do only as much as required. Unclear how much he has left and if he truly gets the trip. 4lb up but excellent 3lb claimer on board too. Entihaa is a classy stayer in fine form. Not far beaten last twice after winning two on the bounce. Drop in trip not sure to suit, though has past form over 12f. Career best required. John Reel won his last three and is greatly improved, thriving on the AW. Still rather lightly raced for his age. Won over variety of trips. Successful in hot 12f handicap at Lingfield, followed by 2m win at Wolverhampton lto. Turned out under penalty today. Saptapadi has won only one single race in his career and as a 9yo isn’t likely to improve. Should find this too tough. Verdict: It’s only a small field but there won’t be a lack of pace with most runners likely to prefer being up with the speed. Godolphin’s Gold Trail is a worthy favourite, showing good improvement lately and he he’s on a hat-trick today. He stepped up successfully to 12f at Lingfield the last time. But in my eyes that didn’t quite prove if he truly gets this trip as he had the run of the race tracking the leader who was crawling for most parts. Any flaws in his stamina will be exploited today. Already a six year old, but not many miles on the clock for that age, John Reel improved dramatically over the last couple of weeks and he seems to thrive over any sort of distance. Quickly turned out under a penalty now, he has to overcome a career highest mark and drops dramatically in trip again. Potentially he is good enough. Southwell specialist Luv U Whatever may not quite be suited by Wolverhampton’s tapeta surface. He has to be at his very best and I’m wondering if he is able to show that at this track. Saptapadi won’t play a role in this race, however Entihaa may well do. He’s likely to want it to be a stamina test and it remains to be seen if he has the speed for 12f these days. He’s clearly in fine form though, was in front until half a furlong out lto when John Reel got the better eventually, but meets the same rival on six pounds better terms today. 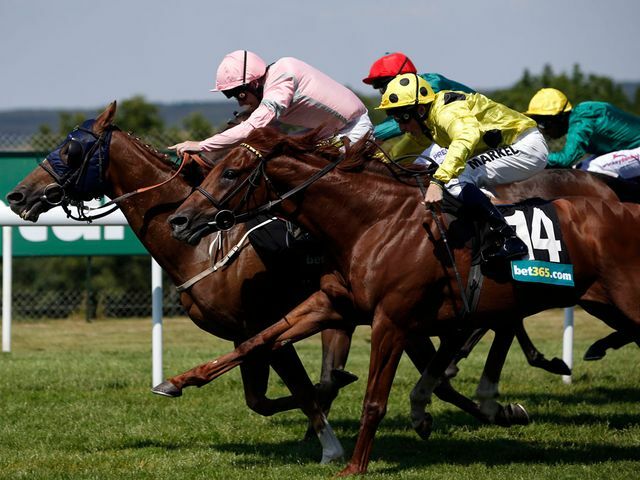 The two red-hot in-form favourites John Reel and Gold Trail have any right be short prices. Both have the potential to improve further. However they are short enough and the trip is a question mark for most of the runners in this field, those two included. I feel Entihaa is well overpriced, though. Trip is a question mark, but he has done pretty well recently and he is worth a shot here in this field as he has been able to perform over 12f in the past. There is some pretty good racing at Meydan today. Couple of Group races on the Dirt track, most notably the 2.000 Guineas which looks a real cracker! The Handicaps seem intriguing puzzles to solve – nothing less is expected, though. But that makes it interesting, right? There is clearly some value to find on this card today and analysing todays races, I’ve come up with three selections. All decent prices. If only ones gets in, it’ll be a good day. This big handicap looks wide open and usually a bit of luck plays its part. There are a couple of the better fancied horses here who have some doubts about the trip in my mind and I feel this could easily go to a longshot. That says Pilote is one I do really fancy to go close if he gets a clear run from off the pace. He is clearly on a mark he can win off. The same applies to Tha’ir. He can go well too and a big run is expected. However for a huge price I take a chance on Sennockian Star. He didn’t perform to his best in two starts here at Meydan in recent weeks, however he slipped another 3lb in the mark and that can make a difference. He is one who likes to be up with the pace, and while he isn’t drawn super close to the rail, his draw in seven gives him every chance to waste not too much energy to take up a prominent position. Officially he is one pound above his last winning mark (in a Handicap) when he won a big one at Goodwood last summer. He followed up with a fair second in Listed company. All over 10f, which is his ideal trip these days. I feel he is worth a punt today to outrun his big price tag. Two big favourites in the Guineas with Godolphins Maftool and De Kock’s Mubtaahij heading the market. Both have strong form to share from last month’ Guineas trial over 7f. Mubtaahij won that day in pretty emphatic fashion. He had the perfect race from the start, and drew clear in the closing stages, clearly benefiting from match fitness through a run he had before. He’s still lightly raced and there could be much more to come. Clearly an exciting prospect. Maftool in contract had his first start in over three month, was first time tried on the Dirt, and had to overcome a completely messed up start. The way he finished the race was very impressive, and he must be a big danger to Mubtaahij today. Albeit very talented, question mark is about his attitude, as he looks a difficult horse to ride, though. De Kock has a second runner in this field with Ajwad. Already a four year old, formerly trained in Argentina. Ajwad is bred for dirt and one would belief can improve a good deal for his first run here at Meydan, when he finished a fair third behind Mubtaahij. He clearly needed the run, the way he finished as a tired horse, and he did allot in the early parts of the race. He should benefit from the step up to 1m as that is what is clearly in his pedigree. I expect him to improve a good deal and he’ll finish much closer to his stable mate today. He has to give loads of weight to the three year olds though, and they have in turn potential to improve themselves of course. So it remains to be seen if he is good enough after all. But that says he has the right profile to go really close and he looks a nice alternative to the short priced favourites. This is a premier handicap and some really good horses are lined up here. Former Group winners all around, and that makes it a pretty interesting race over 9 furlongs. Consistent Mushreq is top of the market and ran already pretty well in two starts this year here at Meydan. He’s bound for another good performance. De Kock’s other hope Zahee has been places over 9.5f on the tapeta track in the past, but best forms came over shorter and he may struggle to get home. Ocean Tempest flies the flag for the UK, ran well lto and I’m sure he does well today too, but this trip seems to be slightly beyond his stamina as he usually is best over 1m. In general this looks a wide open race and a case can be made for most runners. I’m most interested in Vancouverite and Mujaarib though, as they seem overpriced in my eyes. Mujaarib is the third De Kock runner here. He didn’t land a blow on his seasonal debut in Group 2 company lto, when fifth behind word class stablemate Vercingetorix. But it was a decent run nonetheless I thought, and if he can come on a bit for that, he must be in with a fair chance today. Nine furlongs seems to be his ideal trip, he won a big Group 2 at Meydan last year, beating Mushreq. Reportedly he is a pretty lazy horse, so no surprise to see blinkers on again, which may sharpen him up. He has done well with them fitted in South Africa, so they should help him to focus and 16/1 looks way too big for his chance, despite the fact that he has to overcome top weight. Talented Vancouverite is trading as high as 6/1 an in my eyes that is very generous for a horse that has been beaten less than two lengths to Vercingetorix in the G1 Jebel Hatta last season. He was in subsequent starts not quite as good as expected, with a second place Listed contest at Haydock (albeit a good one) the highlight. He’s done well as a fresh horse in the past however, so chances are there that he goes well today again. One couldn’t have written the tale any better. There is Tony McCoy, the world’s most successful jockey. A legend of this sport. One whose name is synonymous with jump racing. There he is, announcing his retirement at the end of the season. He did this after winning a big race at Newbury on Saturday. He wanted to do it on his own terms. Put and end to the speculations surrounding him and his 20th champion jockey title. And there he is, parading in front of the frenetic Leopardstown crowd. He and his mount Carlingford Lough just won main event, the Hennessy Gold Cup. Just another piece in the breathtaking career, for McCoy, the once little boy, born in Moneyglass, Country Antrim of Northern Ireland, who made his way to the summit of the sport without the benefit of having a family with background in the game. This morning on the way to work I heard an interview with him on the Irish radio station Newstalk FM. McCoy, collected, calm, yet somehow emotional in his voice, reflected on the weekend, his decision to retire – but felt awkwardly distanced to the idea of what may lie in front of him – once he jumps off the horses back for the last time. What’s then AP? Who knows. For the moment, it is hard to envision jump racing without him. And thanks god, for a couple more weeks we don’t have to get used to this thought. So let’s just sit back and enjoy the man at what he’s best: Riding winners! Relieve the Hennessy Gold Cup again, in the video below – it also has to be stated that I tipped McCoy and Carlingford Lough to win the Hennessy. Which obviously makes it an even better story… for me personally at least! Solar Deity hasn’t won in over a year but came close in similar races over CD off marks around up to 105. Should run his race but looks to need bit of help from the handicapper to get his head in front again. Don’t Call Me goes well on the All-Weather and performed on Tapeta in Meydan. Has never won, nor placed over further than 1m. Stamina big question mark and current rating looks high enough too. Back from break. Tryster is still very lightly raced and won over 10f at Chelmsford last month travelling strongly but showing some attitude when hanging badly as he did in the past already. Talented and potentially more to come despite up in the mark. Claimer booked, and the one to beat if he cane overcome his greenness. Spes Nostra tried to make all in the race that Tryster won lto. Faded from 1f out. Unlucky last two, when done on the line and hampered at crucial stage. Still 6lb above last winning mark but 7lb claimer may help. Will be up with the pace. Pivotman is progressive on the AW this winter and gradually improving. This is his toughest task to date and bit too find 2lb out of the weights. Wants to make all. Steventon Star is four pounds out of the weights here and despite a slipping mark, has allot to find in order to be competitive. Verdict: Tryster has a fine chance to follow up on his recent Chelmsford success. He looks talented and probably up to his new mark, even more so with a decent 3lb claimer cancelling almost out the rise. His tendency to hang badly in the closing stages is a slight worry, though, and at a short price at this different venue, I’m prepared to take him on. Solar Deity will run his race and should prove a good pointer. He maybe vulnerable to some lighter weights however. The pace will come from progressive Pivotman. It’ll be interesting to see how he fares in this ultimately toughest test of his career. He is short enough in my eyes. There is good money coming for Spes Nostra as well. Still he looks a big price for what he has potentially to offer. Also one who likes to be up with the pace, I imagine this could be more of an advantage around Wolverhampton than Chelmsford, where he attempted to make all the last time but faded 1f out, even though he got also hampered in the closing stages. He won over further in the past and showed a particular liking for Wolverhampton’s tapeta. He has yet to prove that he can win off a mark as high as the current one, but he has been a bit unlucky before and has a 7lb claimer on board today. That makes him a competitive chance. 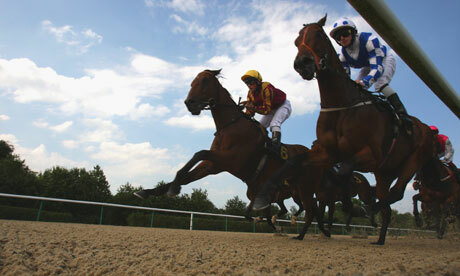 The start – a pivotal point of any horse race. Without it, we wouldn’t have a race. Simple as that, right? Whether a standing start in National Hunt, or out of starting gates on the flat – so many races have been lost right at the beginning. 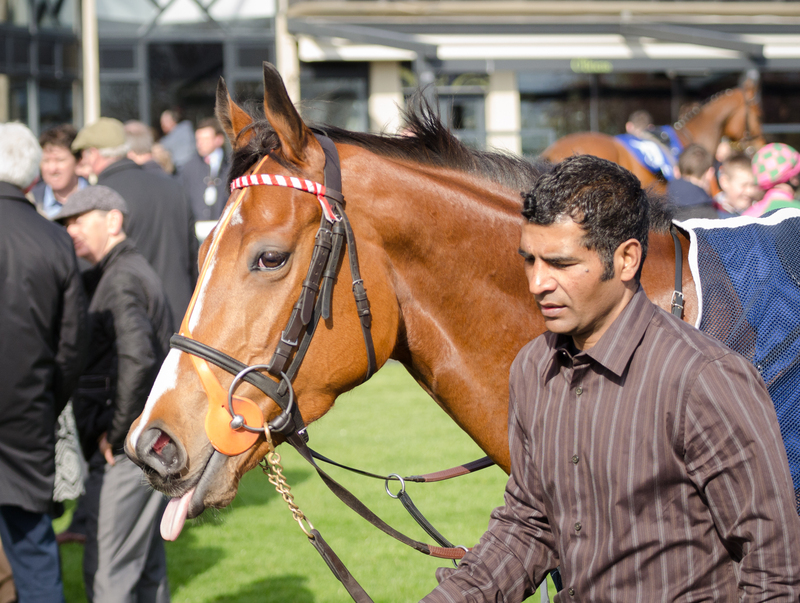 I still remember beautiful filly Sariska very well. What a talented individual she was. But towards the end of her career, she refused to leave the gates when they would crashed open. She was odds-on, red hot favourite in her last two career starts and almost certain to win – if she would just run – but she lost the race literally at the start and was subsequently retired to the breeeding sheds. There are numerous other examples of course, where horses stumble out, and are right far behind the field, or there are those of course who jump out as if concerned about their life, mad keen, unstoppable, burning off all energy. Remember Dawn Approach in the Derby?